Create paintings of Giotto’s land… in Giotto’s style. Whenever he painted, Giotto had in his mind the magical harmony of Mugello, his homeland. 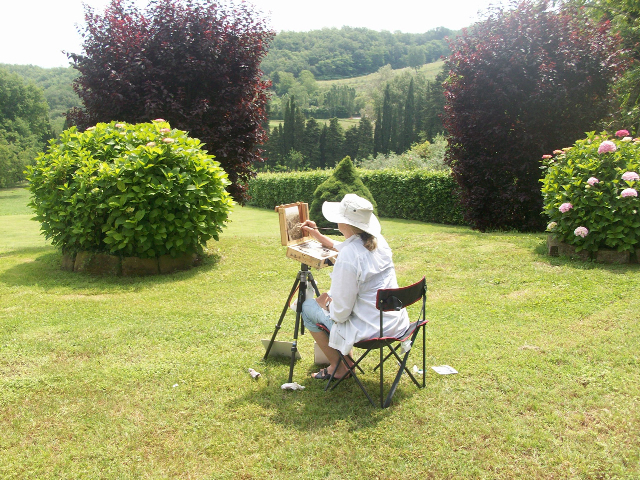 Mugello is the charming frame that surrounds Villa Campestri and makes our painting courses unique and exclusive. Colors, scents, and gentle hills that come one after another have been fonts of inspiration for many artists including Beato Angelico, another illustrious talent that was born in this area. 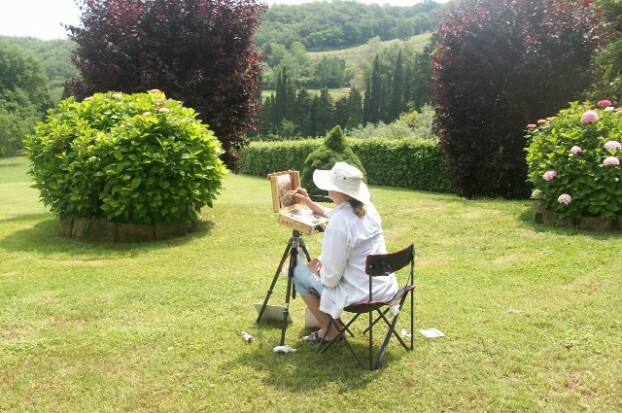 What other corner of Tuscany could be more appropriate for an unforgettable painting course? 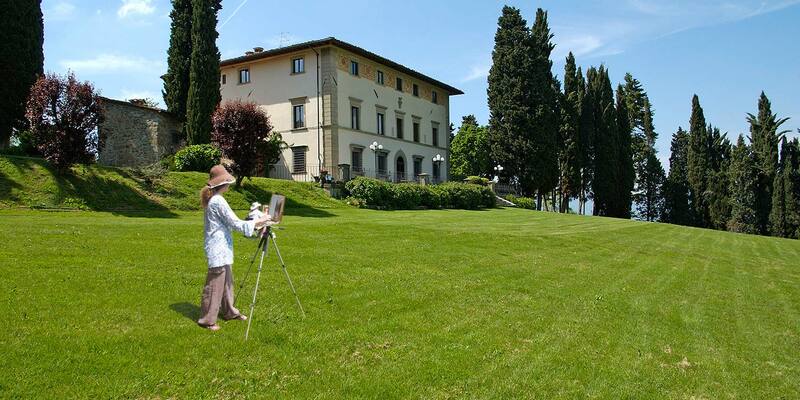 Villa Campestri Olive Oil Resort organizes 4 to 8 day painting and drawing experiences in 14th century art techniques that were used by Giotto, his pupils, and even Leonardo da Vinci. 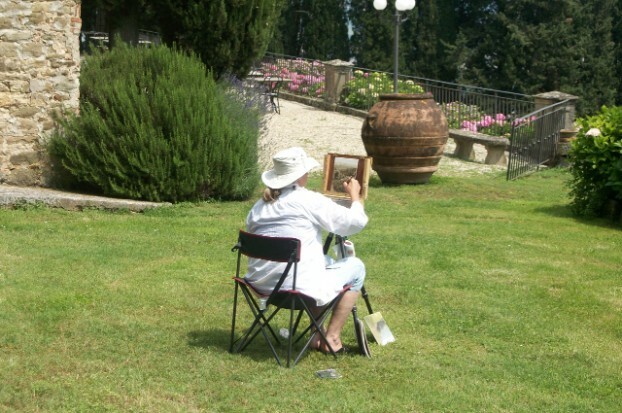 Artists and art maestros coordinate the painting courses that specialize in 14th century technique in drawing such as egg tempera on gold leaf, fresco painting, charcoal and brush drawing, pen and ink, and silver point. 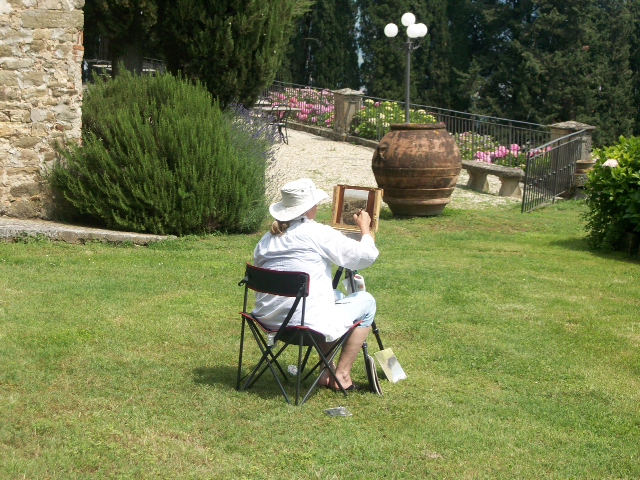 Lessons include guided excursions to discover inspiring landscapes or works of art to admire. For further information please contact us via e-mail. It will be a pleasure for us to explain aspects of this course or any of the other exclusive services that we offer in the heart of the Tuscan hills.